There are more places than ever that allow you to park your Tiny House RV legally – see the listing at bottom. There are over 17,000 Building Departments in the US and we are not able to follow all of the regulations related to Tiny House RVs in your area. 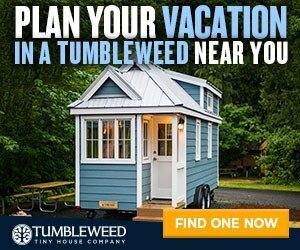 Your local building department can tell you where you can legally place a Tumbleweed Tiny House RV, which is a licensed Travel Trailer . Your Property: Your RV may be placed in your backyard or property depending on local building codes. Local and state laws support RVs generally (versus small structures with foundations). We advise you to research county or city Building Codes or neighborhood RV regulations, which vary more widely. When parked, you connect to your home’s or property’s existing water, electricity and septic/sewer systems. Mobile Home Parks, RV Parks and Campgrounds: As a traveler, you and your Tiny House RV are welcome at many RV facilities nationwide. These locations, whether parks or campgrounds, offer all necessary and full hookups for water, electricity and septic…and often cable TV (if you have it). Many offer multi-month space rental. Off Grid: Tiny House RVs may be parked and used in more remote locations, and we suggest checking with your municipality. Without utility access, your water and propane tanks (if selected) would need to be re-filled. Electricity may be generated through solar, depending on sun access. 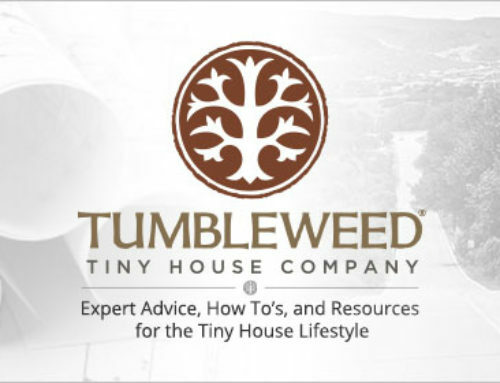 Finally we recommend opting for a composting toilet supplied by Tumbleweed. 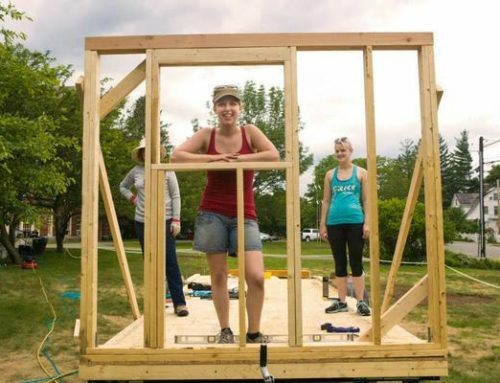 Social Media: Contact people in the area that are already talking about tiny houses. Also search “Tiny House Enthusiasts” on Meetup.com to see if there is a group in your area. This group consists of fellow tiny house enthusiasts looking to work with local zoning departments, etc. to create new places to park tiny houses. California: Several counties in California allow a tiny house on wheels in a backyard if it is a caregiver cottage. Fresno, CA allows a tiny house on wheels in a backyard without requiring it to be a caregiver cottage. Kentucky: Pulaksi county, KY allows a tiny house on your own land. Maine: North Yarmouth, Maine allows a tiny house on your own land. Massachusetts: Nantucket voters approved tiny houses on wheels on private property. 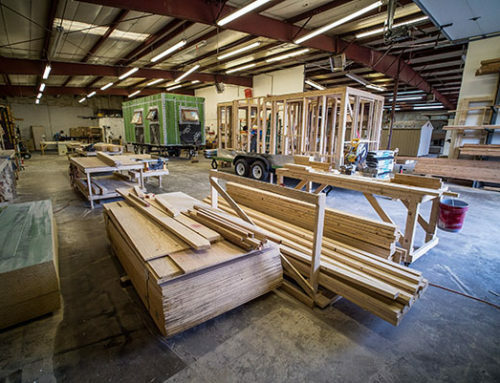 Tiny houses must conform to building code, except that they may be on trailers. The article is waiting for review by the Attorney General. Texas: Spur, TX allows tiny houses on wheels on their own land outside city limits. More RV parks are welcoming tiny homes. Below find both RV parks and campgrounds, listed alphabetically by state, then city. Be sure to call before arriving at an RV park to confirm they are “tiny house friendly”. [certified if necessary] are welcome to visit their campgrounds. Escondido: All Seasons RV Park – Interstate 15, Exit 41, north of Escondido, CA. Note: Allows only RVIA certified tiny houses and requires one month notice. Oxnard: Evergreen RV Park – 2135 N Oxnard Blvd., Oxnard, CA. Accepts tiny houses that are RVIA certified. Bayfield: Vallecito Resort RV Park – 13030 County Road 501, Bayfield, CO. Open seasonally, May 1 to Oct 1. Colorado Springs – Garden of the Gods RV Park, Colorado Springs, CO. Open seasonally, May 1 to Oct 1. Apopka: Overland Village RV Park – 3303 Overland Road, Apopka FL. Park is for seniors 55+. Christmas: Christmas RV Park – 25525 E Colonial Dr, Christmas, FL. Tiny houses must be RVIA certified. Palmetto: Tropic Isles Co-op – 1503 28th Ave. West, Palmetto, FL, is a seniors community (55+) that is accepting tiny houses on a trial basis. Winter Haven: The Outpost – 2250 US Highway 92, Winter Haven, FL. Call for a reservation first. Owners request that tiny houses fit in with the classic vintage Florida aesthetics of the park. Warner Robins: Robins Air Force Base FAM Camp – Outdoor Recreation (SVRO), Bldg. 1305, Robins AFB, Warner Robins, GA. For military families only. Gates: Deer Creek Hollow Mobile Home & RV Park – Gates, OR. For seniors 55+. Aiken: Pine Acres Campground – 205 Duke Drive, Aiken, SC. Tiny houses must have 30/50 amp power and be able to hook up to their pedestals. Pines Acres is NOT able to accept tiny houses with 100 amp or those with nothing but a jumper wire out the window. Athens: Land of Ease – 7251 County Road 4613, Athens, TX. Mobile home and RV park is for seniors 55+. Brownsville: Gulf Oasis RV Park – 4761 Boca Chica Blvd, Brownsville, TX. Bruceville: Harmony Haven Camping – Bruceville, TX. Advance reservations and deposit required. Fort Bliss: Fort Bliss RV Park – Ellerthorpe Ave., Fort Bliss, TX. For military families only. Johnson City: Canyon Road Olive Ranch – 218 Canyon Road, Johnson City, TX. 12 tiny home or park model home sites on 25 acres. Community for seniors 55+. Lodi: Smokey Hollow Campground – W9935 McGowan Road, Lodi, WI. Open seasonally, April to October.